Each year, it’s a true joy for me to interview the Agatha nominees for Best First Novel and Best Short Story. This year, I made a late start in getting the questions to the nominees, so I’ll be following up next week with some terrific answers that you’ll want to return to read! For this post, let me introduce you to the nominees. They are a diverse group: in their work, their locations, and their lives. What is similar is that these folks are all diligent and talented authors whose novels and short stories are deserving of both publication and recognition. In the Best First Novel category, Shari Randall’s Curses, Boiled Again! is published by St. Martin’s (an imprint of one of the Big Five), Dianne Freeman’s A Lady’s Guide to Etiquette and Murder and Edwin Hill’s Little Comfort are published by Kensington (well known for its impressive line of mysteries), Aimee Hix’s What Doesn’t Kill You is from Midnight Ink (which, despite its distinguished list of authors, is sadly closing its doors this year), and Keenan Powell’s Deadly Solutions comes from Level Best Books (now managed by editors Shawn Reilly Simmons, Verena Rose, and Harriette Sackler, collectively known as the Dames of Detection). Each nominated book is the first in a series. The second novel in each series either has been or is soon to be released. Two of the Best Short Story nominees are published in Alfred Hitchcock Mystery Magazine and two in Ellery Queen Mystery Magazine. The fifth is found in last year’s Bouchercon anthology. All the short story authors are familiar names to the Malice Domestic community, with long histories of publications and awards. 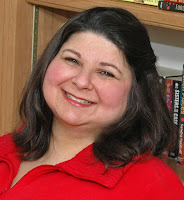 Leslie Budewitz writes two contemporary series and has previously won Agathas in the Best First Novel and Best Nonfiction categories. Susanna Calkins writes two historical series. Her fiction has been nominated for the Mary Higgins Clark Award, the Agatha, the Lefty, and the Anthony and has won the Macavity. Twenty-five times Barb Goffman has been a finalist for national crime-writing awards and her short stories have won the Agatha, Macavity, and Silver Falchion. 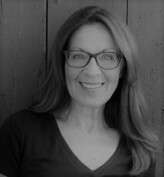 The semi-newbie nominee, Tara Laskowski, has won several awards including the 2010 Santa Fe Writers Project Literary Award, had two books published, and has another being released in her birth month of October, not to mention being wife of the final nominee. 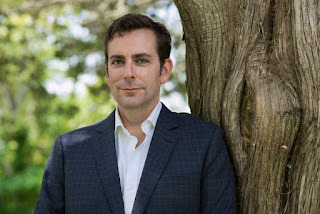 Art Taylor, Tara’s husband, won the Agatha for his novel in stories, On the Road with Del & Louise, and three additional Agathas, an Anthony, two Macavities, three Derringers, and is currently an Edgar finalist, all for his short stories. Both historical and contemporary mysteries are included among this year’s nominees. Two of the short stories, Leslie Budewitz’ “All God’s Sparrows” and Susanna Calkins’ “A Postcard from the Dead,” as well as Dianne Freeman’s novel represent (1) the American West (Budewitz), (2) early 1900’s Florida (Calkins), and (3) an American who has married into Victorian England’s aristocracy (Freeman). Two short stories, Tara Laskowski’s “The Case of the Vanishing Professor” and Art Taylor’s “English 398: Fiction Workshop,” as well as Edwin Hill’s novel take place in academic settings. Shari Randall’s novel and Barb Goffman’s “Bug Appetit” deal with people’s reactions to food. Aimee Hix’ former police officer and aspiring P.I. and Keenan Powell’s public defender are found in delightfully paced procedurals. The nominees live all over the country. Edwin Hill and Shari Randall make their homes in New England. Barb Goffman, Aimee Hix, Tara Laskowski, and Art Taylor are in or near the D.C. area. Susanna Calkins teaches at Northwestern in Chicago. While Leslie Budewitz went to college in Seattle and practiced law there after graduating from Notre Dame, she now lives in Montana. Dianne Freeman splits her time between Michigan and Arizona. Keenan Powell is in Alaska. Leslie Budewitz, Barb Goffman, and Keenan Powell are attorneys. Susanna Calkins (Northwestern) and Art Taylor (George Mason) teach at universities. 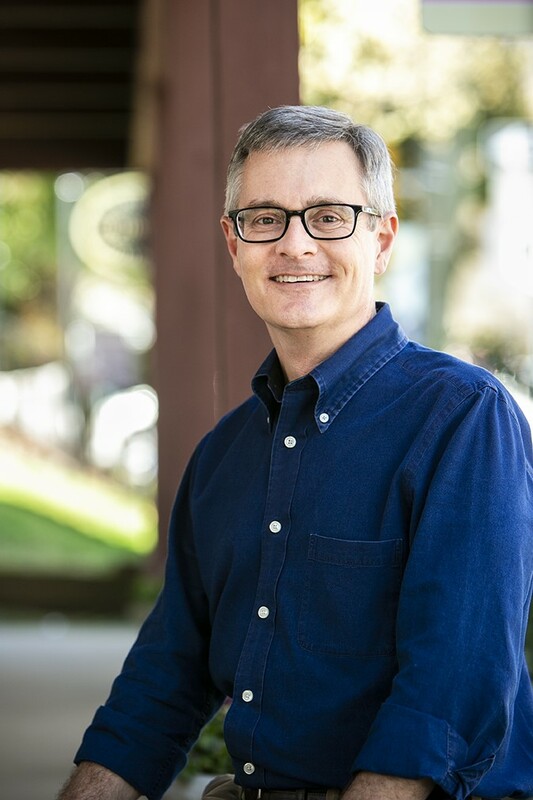 Like Leslie, Edwin Hill pursued college on the west coast, but now works in educational publishing in the east. Aimee Hix is a former government contractor. Shari Randall has served as a librarian and is now the library liaison for the National Sisters in Crime. Tara Laskowski is the editor of Smoke Long Quarterly. 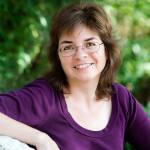 In addition to writing, Barb Goffman has an editing business. Have you read these nominated novels and stories yet? What are you waiting for? recognized people sometimes become boxed in and kill out of sheer desperation. Look for the person around Victoria Denton who became desperate. Laura Bishop just nabbed her first decorating commission—staging for sale a 19th-century mansion that hasn’t been updated for decades. But when a body falls from a laundry chute and lands at Laura’s feet, replacing flowered wallpaper becomes the least of her duties. 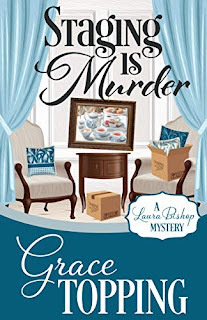 Grace Topping’s first book in her Laura Bishop mystery series, Staging Is Murder, will be released by Henery Press on April 30. 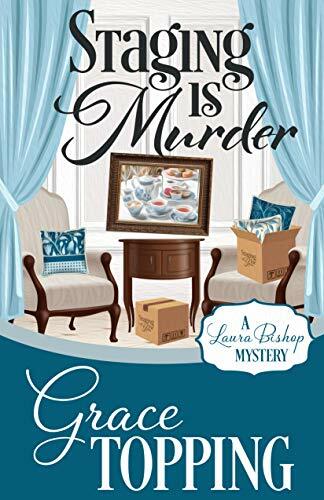 Grace has created a memorable cast of characters with the natural premise of staging homes for sale, putting main character, Laura Bishop, on the spot when murder occurs. Laura has obtained her first commission. But the job she’s taken on is huge, a pre-Civil War mansion, and hindered by the homeowner’s uncooperative attitude. Laura has a good assistant, Tyrone Webster, a young, black man who has experience staging theater sets. Unfortunately, we don’t get to see much of Tyrone because for most of the book he is arrested and locked in jail. I hope there’s more for Tyrone to do in the next book because he’s playful and smart. Nita Martino, her best friend, comes from a large Italian family, which has helped and healed Laura from the dearth of support in her own family. But Nita is superstitious, reading horoscopes daily, a fault that Laura treats with humor. What’s the difference between interior decorating and staging? Can either job be done by the same designer? Are there educational requirements? An interior decorator or designer adds personality to a home to reflect the homeowner. A home stager takes the personality out to make the home appeal to a wider audience. But it goes beyond that. A home stager works with the homeowner to identify what needs to be done to make a home look up to date and attractive—to ensure that it sells faster and for more money. 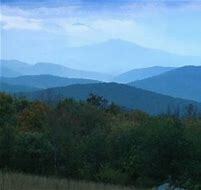 Louiston is a fictional town based loosely on my hometown in the Allegheny Mountains, more in central Pennsylvania. A lovely area and a place I miss more the longer I live away from it. Fortunately, I have family there, so I get to visit often. Laura and her late mother weren’t close. Why? Has Laura made changes in her life since her mother’s death? Laura’s mother was a cold and remote individual, who never showed Laura affection. She was definitely a glass half empty kind of person who always saw the negative side of life, unlike Laura’s father, who had been friendly and outgoing and made everyone feel special, whether it was a friend or someone hired to paint the house. Sadly, when her parents divorced, Laura was left with her mother. It was one of her teachers who saw the lack of love and emotion in her life and helped nurture her friendship with another student from a large and loving family. Laura recognized how her mother’s negative attitude poisoned her life and sets out to make sure that that she has a positive outlook. But she has to work at it, especially given her failed marriage. Fortunately, she has her best friend, Nita Martino, and her large and loving family’s influence in her life. They brought laughter into her life and showed her how good life can be. Victoria Denton, the homeowner and murder victim, was not a pleasant person. How does she obstruct Laura’s work? Victoria came from a less affluent part of town and thought when she married into the wealthiest family in Louiston that she would have the status and social life she had always yearned for. However, it didn’t work out that way and over the years, she became dissatisfied and developed a reputation for being one of the most disagreeable people in town. When she and her ex-husband are forced to sell their 19th century mansion, she isn’t willing to do much to help Laura make it more attractive for other people to buy it. She only agrees to have the home staged after being convinced to do so by her ex-husband and her real estate agent so they can sell it fast, before the bank can initiates foreclosure. With the age and condition of the house, it wouldn’t have sold fast or for a very good price. Victoria felt there was nothing wrong with the way the house looked. She was unhappy having to sell it, and no matter what Laura and Tyrone did to help improve the home’s appearance, she wasn’t pleased with it. They didn’t have carte blanche to change the home and needed to have her buy in to their suggestions. When she didn’t, their hands were rather tied. Why doesn’t Laura like attractive men? Every time someone made Laura unhappy, took credit for her work, or just generally embarrassed her, a handsome man was involved. Her mother warned her that handsome men were trouble, believing that if Laura’s father hadn’t been so handsome, he wouldn’t have been unfaithful and left them. Unfortunately, Laura didn’t listen to her and married Derrick—as handsome as they come. Big mistake. She should have listened to her mother. When he and his female companion (long story) were killed in an automobile accident, Laura swore off handsome men forever. Tyrone is a candidate for the Quincy Scholarship at the college where he is studying design. After he breaks a valuable vase, Victoria, who is on the scholarship committee, tells him she will recommend against him getting the award. After Tyrone pleads with her, he leaves. A short time later, Laura finds her dead body. Tyrone has motive, but what about means and opportunity? After the incident with the vase, Tyrone leaves for the day. When he arrives home, he goes for a run to work off his frustrations and decides to return to the Denton house to talk to Victoria—to apologize again and convince her not to interfere with his scholarship possibilities. But after getting close to the house, he changes his mind and returns home—but not before someone spots him running away from the area about the time Victoria is murdered. The police believe his being in the area at the time of the murder and the fact he had a key to the Denton house gave him means and opportunity. With Victoria’s death, Laura’s contract to stage the house is null and void. But ex-husband Skip Denton rehires her to finish the job. Nita hires a local psychic to “clear” the house of negativity or Victoria’s spirit, but Laura still feels uneasy in the house. Do you believe in spirits or ghosts? No, not really. But I think there are things that just can’t be explained, and sometimes a place just has negative vibes, especially a house that is nearly 200 years old, like the Denton house. Laura doesn’t want to go back into the house because it was the scene of a murder. Sometimes that’s enough. It’s Nita who thinks Victoria’s spirit is still there and sets out to make sure she leaves. Guido, Nita’ husband, is wonderfully supportive. What does he do? Guido is a great guy, isn’t he? With his mild manner and patience, he is the perfect mate for Nita. He has a background in construction but now works for the Romano family as general office manager and accountant. At the beginning of each chapter, you provide home staging advice. Did you study home staging? Actually, my knowledge of home staging came primarily from watching far too many HGTV home staging and home flipping programs. I discovered that I have a knack for it, probably from watching all those shows, and I began helping friends stage their homes. When I decided to write a cozy mystery, which usually has a main character with a business or interest that is a key part of the story, it was a natural choice to make my main character a home stager. It also helped that a home staging main character hasn’t been done much in the cozy mystery world. I also read a number of books and guides about home staging. After I completed and polished my manuscript, I contacted some home staging training and certifying companies to make sure I hadn’t misrepresented the home staging business. Debbie Boggs, one of the founders of Staging Studios in San Antonio, Texas, kindly read my manuscript, gave me some pointers, and endorsed it. It was a great relief knowing I had gotten it right. I have continued to learn a lot about home staging by watching webinars Staging Studios makes available. At this point, I probably could start my own staging business. If I weren’t busy writing mysteries, I almost would try it. From what I’ve learned, home staging is a rapidly growing field and an excellent prospect for people who want to start their own business. Why do people call Vocaro’s, the local coffee shop, their third place? A third place can be defined as that place where people feel welcome, comfortable, and connected. Connected being the key word. It was a term coined by sociologist Ray Oldenburg and refers to places where people spend time between their home (their first place) and work, (their second place). If you remember the TV show, Cheers—that place where everyone knows your name—Vocaro’s is like that. As a writer, Vocaro’s coffee shop is a place I can have characters cross paths with other characters and witness things they wouldn’t ordinarily see. It’s also a good place to pick up gossip about what’s happening in the community. After Tyrone is arrested, his grandmother, Mrs. Mariah Webster, visits Laura and charges her to find Victoria’s killer so Tyrone will be exonerated. Would you describe Mrs. Webster for our readers? Readers have told me they love Mrs. Webster. I do too. Mrs. Mariah Webster is an African-American elderly grandmother (think Cecily Tyson) who single-handedly raised her orphaned grandson from the time he was five years old. She is a retired home-care nurse, who has seen a lot of life and doesn’t take guff from anyone. She could best be described as someone with lots of moxie. She is courageous and probably could have conducted her own investigation without any trouble. 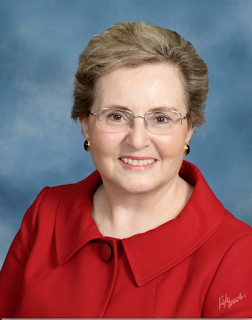 Was Sister Madeleine a substitute sister, mother, or something else to Laura? I think of Sister Madeleine as more a fairy godmother. As a young nun, she was Laura’s second grade teacher and saw how emotionally neglected she was. She encourages her friendship with Nita Ramona (now Martino), who comes from a large Italian-American family, knowing that the family would take Laura to their hearts, which they did. She keeps an eye on Laura over the years, and encourages her love of reading—introducing her to mysteries, which Laura takes to with great relish. When faced with trying to solve a murder, Laura turns to mystery-loving Sister Madeleine first for advice. Laura likes chocolate. She understands why early church leaders thought anything so good must be sinful and banned it. Is that true? Absolutely. In the 1600’s, religious leaders banned monks and nuns from eating chocolate, believing it was a powerful aphrodisiac that would inflame their lustful passions. All it does for me is add weight. I eat it for its antioxidant properties. At least that’s what I tell myself. Throughout the book, Laura, who has no illusions of being a sleuth, asks herself what her favorite literary sleuths would do? What characters does she rely on and do they help her? 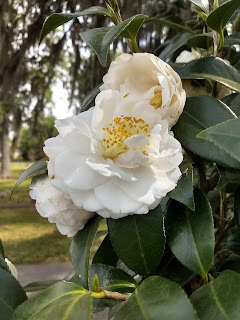 Laura draws on the wisdom of such wonderful characters as Anne Perry’s Hester Latterly and Sara Paretsky’s V. I. Warshawski, and on the humor of characters such as M. C. Beaton’s Agatha Raisin. Growing up in such a cold and lonely environment, characters from books were her friends and guiding lights. So she often thinks about them and wonders how they would handle various situations. At one point, Laura wonders if she’s gullible and her ability to judge people. Will solving the crime change her? Laura wants to believe the best of everyone and hates to think one of the people around her could be guilty of murder. So she is readily willing to believe their alibis and explanations. Later she wonders whether she was too willing to believe them because what they told her made sense, or because she likes them and doesn’t want to believe them guilty. She learns that while most of them aren’t guilty of murder, they all have secrets they don’t want revealed. Protecting their secrets makes them appear guilty of more serious things. Laura has to learn to sift through the secrets she uncovers to get to the more serious crime of murder. One can only hope she’ll learn from her detecting not to be so gullible. In the second book of the series, Laura discovers that someone is trying to sabotage her fledgling business, and she is introduced to the world of artists and art festivals. When a body shows up at Hendricks Funeral Home with a knife in its back, Laura finds herself drawn into another murder investigation—again quite reluctantly. Look for it this time next year. My Google map incorrectly identified the place I was standing as Bowels Ford Park. I did a doubletake, then clicked on the website link and saw that the entry was supposed to read BOWLES park. I also found an article from the Savannah Morning News about the troubles here, how for a while it had indeed smelled like something bowel-centric. But the city had cleaned up the algae that clotted the water, and now people reportedly pull fish from the still flat pond, big ones, bream and catfish. I had not come here for the park, however. 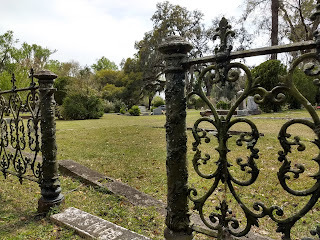 I was here for the graveyard that bordered it, the two places separated by a metal fence and a thick line of trees and foliage. 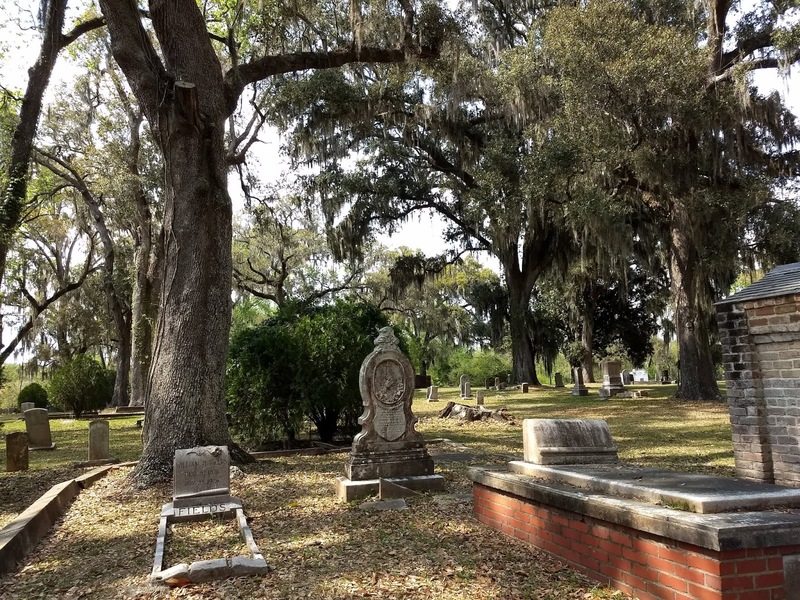 Laurel Grove Cemetery has two sections: Laurel Grove North, the whites only section, and Laurel Grove South, which was the final resting place for hundreds of Savannah's black residents starting in 1853. I was exploring as an author, which meant that in this particular case, I was most concerned about whether or not a person of ill intent could flee from park to graveyard over the boundary fence. Laurel Grove remains an active cemetery, recent burials scattered with the graves of slaves and freedmen, many of them alive and thriving long before the Civil War. 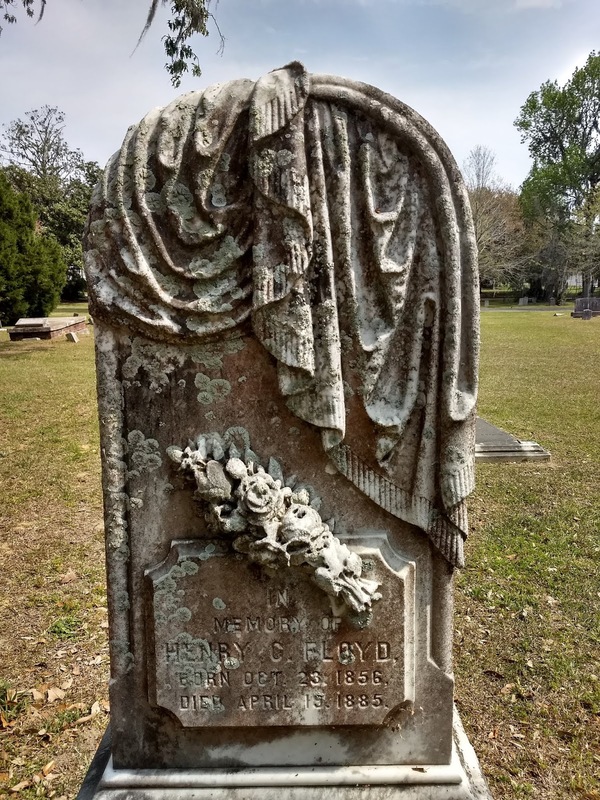 Some graves were decorated with Italian marble angels weeping across the tombs; other resting places were marked by only crumbling brick and rusted pipe rail. The pauper's field had no marked graves whatsoever, only a sign. And everywhere there was shade—the laurels, of course, but also the wide cool laps of live oaks, gray and green and dappled. It was lovely. 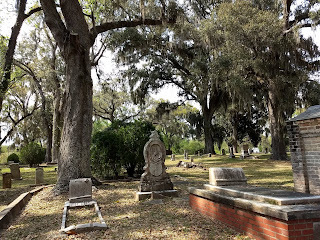 But I was not here as a tourist, or even as a resident enjoying one of Savannah's historical gems. I was a mystery author sizing up a setting. So I noticed the emptiness and seclusion, the many places where one could lurk or hide or duck out of sight. I tried to imagine the place in October, which is when my story takes place. I tried to think like a criminal. I made my notes, took my photos. I did my research. But one day I want to return—no notebook, no camera—simply to wander and ponder. Beginnings and endings, loss and memory, history and imagination. They say in Savannah that every step you take, you take with the dead beneath you. They are correct. 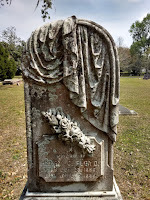 And for taphophiles (cemetery lovers) like me, that makes Savannah an excellent place to live. And write. Tina Whittle writes the Tai Randolph/Trey Seaver mysteries. The sixth book in this Atlanta-based series—Necessary Ends—is available now. Tina is a proud member of Sisters in Crime and has served as both a chapter officer and national board member. Visit her website to follow her on social media, sign up for her newsletter, or read additional scenes and short stories: www.tinawhittle.com. One of the most prevalent pieces of writing advice I’ve heard for those of us who wish to be published is to pull your reader into the story immediately. I am still working on learning how to do that, so I skimmed through some of the first lines of books that I’ve read. Can you match the first line or phrase below with the correct book? 1) “Christmas won’t be Christmas without any presents,” grumbled Jo, lying on the rug. 2) In the second century of the Christian era, the Empire of Rome comprehended the fairest part of the earth, and the most civilized portion of mankind. 3) It is a truth universally acknowledged, that a single man in possession of a good fortune, must be in want of a wife. 4) As I walked through the wilderness of this world, I lighted on a certain place where was a den, and I laid me down in that place to sleep; and as I slept, I dreamed a dream. 5) In a hole in a ground, there lived a hobbit. 6) When Mr. Bilbo Baggins of Bag End announced that he would shortly be celebrating his eleventy-first birthday with a party of special magnificence, there was much talk and excitement in Hobbiton. 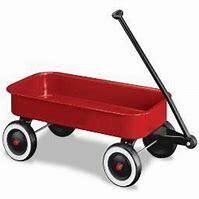 7) There was no possibility of taking a walk that day. 8) It was the best of times, it was the worst of times, it was the age of wisdom, it was the age of foolishness, it was the epoch of belief, it was the epoch of incredulity, it was the season of Light, it was the season of Darkness, it was the spring of hope, it was the winter of despair, we had everything before us, we had nothing before us, we were all going direct to Heaven, we were all going direct the other way – in short, the period was so far like the present period, that some of its noisiest authorities insisted on its being received, for good or for evil, in the superlative degree of comparison only. 9) It was five o'clock on a winter's morning in Syria. 10) In my younger and more vulnerable years, my father gave me some advice that I’ve been turning over in my mind ever since. 11) One summer evening in the year 1848, three Cardinals and a missionary Bishop from America were dining together in the gardens of a villa in the Sabine hills, overlooking Rome. 12) On the first Monday of the month of April, 1625, the market town of Meung, in which the author of Romance of the Rose was born, appeared to be in as perfect a state of revolution as if the Huguenots had just made a second La Rochelle of it. 13) The Jebel es Zubleh is a mountain fifty miles and more in length, and so narrow that its tracery on the map gives it a likeness to a caterpillar crawling from the south to the north. 14) In the corner of a first-class smoking carriage, Mr. Justice Wargrave, lately retired from the bench, puffed at a cigar and ran an interested eye through the political news in the Times. 15) Petronius woke only about midday, and as usual greatly wearied. How do you think you did? What is your favorite first line of a book? Answers: 1) F, 2) G. 3) D, 4) B, 5) H, 6) L, 7) A, 8) M, 9) N, 10) O, 11) J, 12) C, 13) E, 14) I, 15) K.